How to get it wrong and still get it right! After a good day on the Ben on the 31st, Will and I decided to head up to the NW for some Beinn Eighe action. 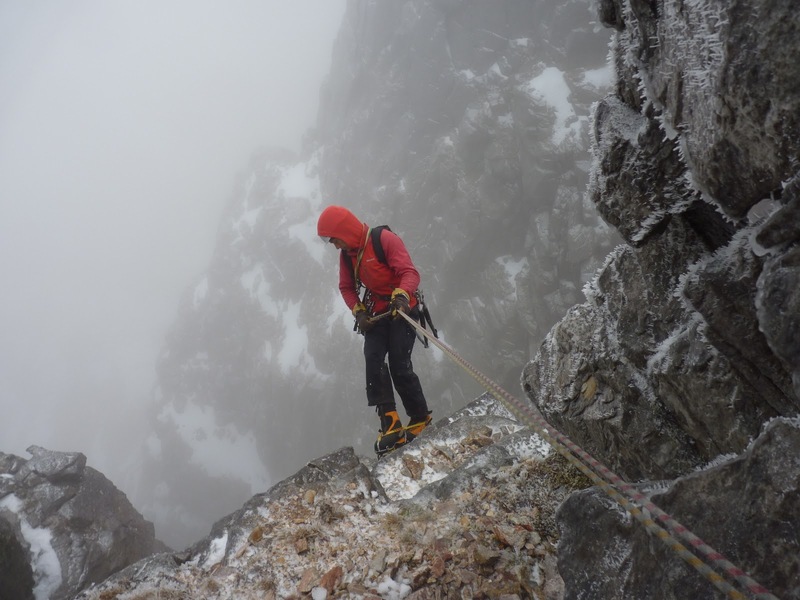 Once we had traversed the whole of the ridge (got lost walking in) and eventually found the crag, we did the route Blood Sweat and Frozen tears. It was the first time for both of us on Beinn Eighe, and it did not disappoint. The route was top quality and there didn’t seem to be a bad move on any of the three pitches. At the top of the first pitch, Will asked if I had noticed that it was getting dark, I replied with “no way, it’s way too early”. We soon realised that my watch was playing up and we had been running 3 hours behind all day and it was actually 2:45pm. Which was not ideal. 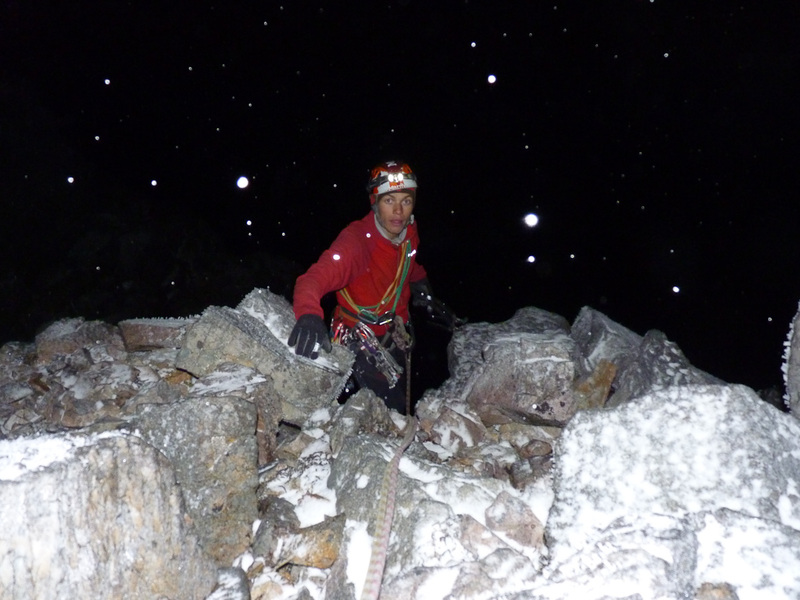 So we swiftly stepped it up a gear and Will only had to lead the last part of the last pitch by torch light. When we reached the top and got back to our bags, it was snowing very heavily, and it didn’t let up until we where just about back at the car. Which got the psyche pumping for more winter action later in the week!!!! !